The following step by step dialogs provide you with many choices to create your very personal, customized paddle. You can click on any image to enlarge it. If want want to change a choice you made earlier, just click on the appropriate choice in the "breadcrump" path on the top. Please don't use your browser's "BACK" button for navigation! Please note: All our paddles are hand made, and depending on your choices for your paddle order we have to create your paddle from scratch. 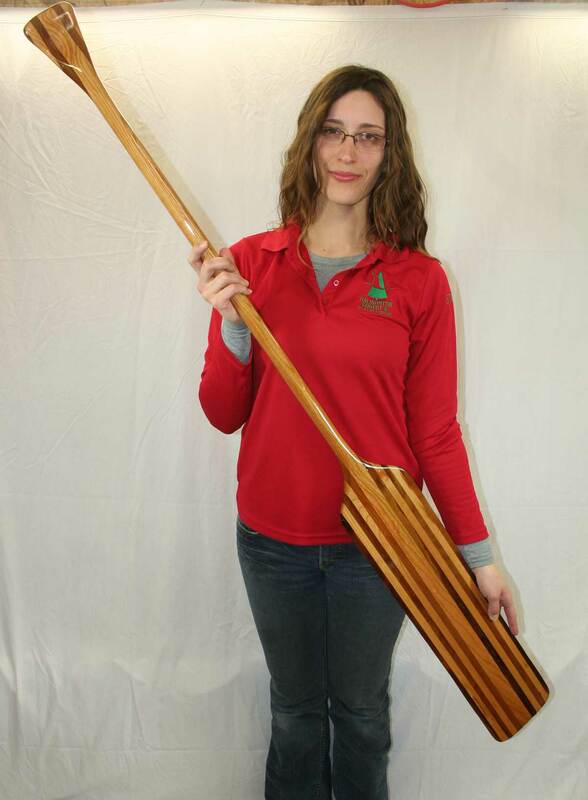 It can take up to 4 weeks to manufacture your paddle ! Christmas gifts: We can only guarantee on time arrival of paddles for Christmas if the order is placed before November 10th. Canoeing traditionally is associated with wood, and if today’s aluminum or carbon fibre catch your fancy, that is fine. Obviously these were produced in an industrial process, rarely in Canada or even on this continent, so there’s nothing naturally Canadian about them. Please remember, that wood is the only sustainable resource we have on this planet.